#1 in the Top 9 All You Can Eat Crab Leg Restaurants! Check out what the Food Bloggers on Tabelog are saying! 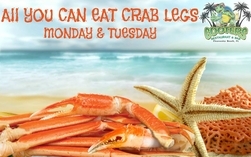 Our first pick for all-you-can-eat crab legs offers the “Best Legs in Town”. 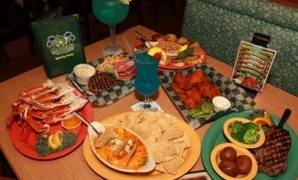 Cooters Restaurant & Bar in Clearwater Beach, FL is a fun family place with a sports bar, outdoor patio and live music. 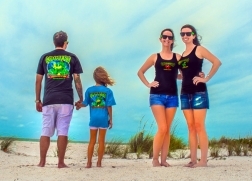 Their crab legs were voted best in town, and more importantly, are bottomless on Monday and Tuesday nights. Cooters offers a full menu of seafood, burgers, steaks and wings; and locals swear by just about everything. 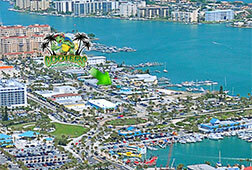 Cooters is a local and tourist hot spot, with something going on almost all the time. And at Cooters any reason is an excuse for a party! Note from Cooters: Pictured is our popular CRAB FEAST, available Limited Time only during Stone Crab Season.